Love that gives – and takes. Acclaimed internationally for his paintings of popes, crucifixions and close friends, Francis Bacon is trapped in creative paralysis, unable to paint, until a violent and volatile young man comes knocking on his door. 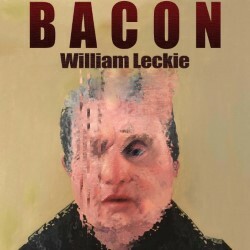 The pair rapidly plunge into a passionate, tormented relationship, with Bacon's new muse reigniting his work, yet this comes at a terrible price. Double Edge Drama returns, previously hosting actors like Eddie Redmayne and Tom Hiddleston. 'If you want to spot future stars at the Edinburgh Fringe train your eyes on Double Edge Drama.' (Evening Standard).